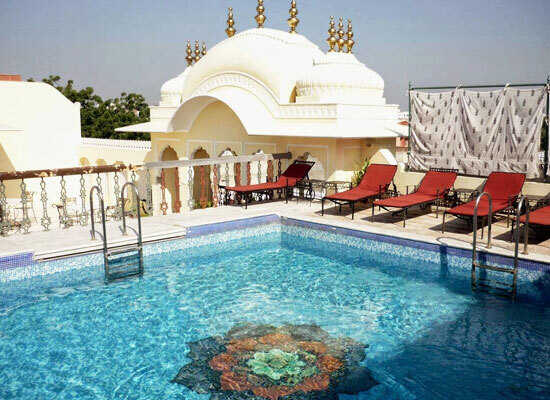 "Khandela Haveli with its striking beauty, imprinted wooden gateways and the lush green courtyard is one of the most beautiful heritage hotels of India. The richly engraved widows, the exceptional glasswork, the ancient frescoes on the walls and the traditional "Jharokhas" that are present almost everywhere in the hotel merges the traditional Rajasthan architecture with sophisticated modern style of living in this hotel. With so much on offer, a stay in this hotel is simply unforgettable. Approximately 2000 years ago, Khandela existed as an ancient town. This town was ruled over by numerous erstwhile dynasties belonging to Rajputs clan over the years. Khandela was established as the capital by Raja Raisal who belonged to Shekhawat clan of Rajputs who ruled from 1538 AD to 1615 AD. His descendants continued to rule over Khandela till India got independence from the British. During their reign, Raja Raisal’s descendants urbanized Shekhawati region and made it popular among international tourists. The major features were the brilliant Havelis, forts and castles which existed as the House for the elite class, which were known for their tremendous architecture. 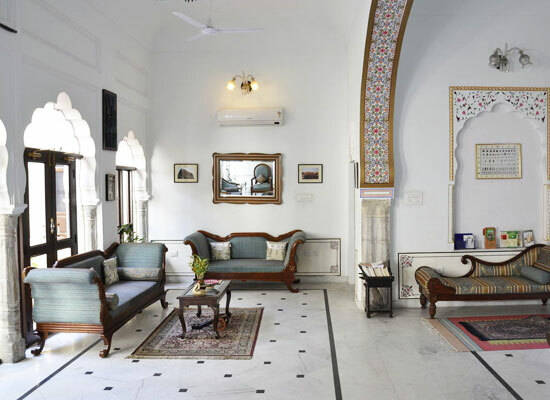 At Khandela Haveli in this region, tourists are offered the same regal experience with which the elite class used to live here in the glorious days. 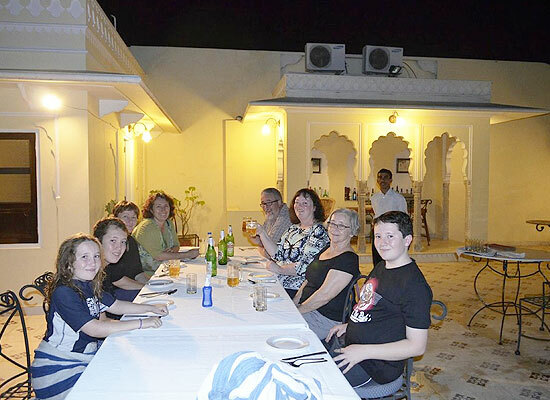 In each of the 22 rooms in the hotel, the tourists are offered an opportunity to enjoy their stay at Khandela Haveli. 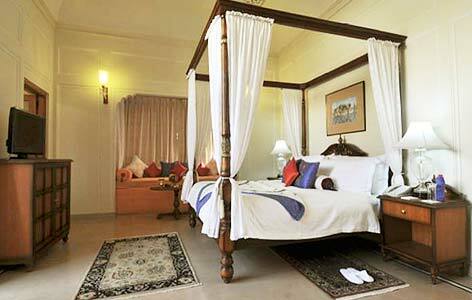 All the rooms are designed according to the traditional Rajputana era and are reminiscent of former Royal days of Jaipur. With utmost care and attention to detail, all the rooms are constructed completely different from each other. The interiors of the room are very sophisticated and elegant and feature traditional Indian craftsmanship. All the rooms are flushed with best of the amenities and services. 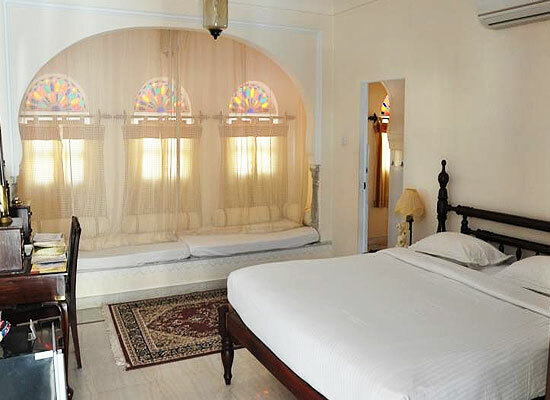 Room Types are Deluxe, Haveli Suites and Suites. The dining experience in this heritage hotel is as regal experience as all the other features of this hotel. Tourists enjoy their dining at the rooftop multi-cuisine restaurant. The guests are served some of the most exotic Indian and international cuisines. The guests are elated with a wide assortment of liquors at the hotel bar. For entertainment during dinners, puppet shows and folk dance shows also organized. Popularly known as the “Pink City” of India, the city of Jaipur is one of the best tourist destinations in India. The city is known for some of the most significant architectural and heritage delights situated in here. It is one of those cities that make for an ideal visit if one wishes to experience the true flamboyant colors of India. The colorful turbans, the swaying saris, the pulsating bazaars, the Royal monuments, the traditional artwork, the local handicrafts; everything in and around Jaipur is simply unforgettable.